Let your style do the talking by wearing this pair of trousers from Allen Solly. It has a waistband with belt loops that will provide you with a proper fit. Besides, it features a solid pattern that lends it a trendy look. 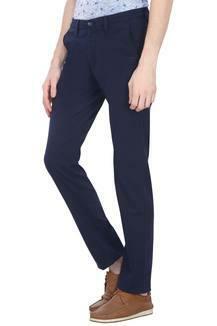 Tailored with cotton fabric, it will also keep you at ease for long hours. 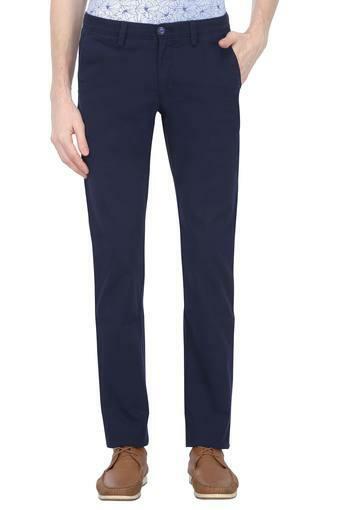 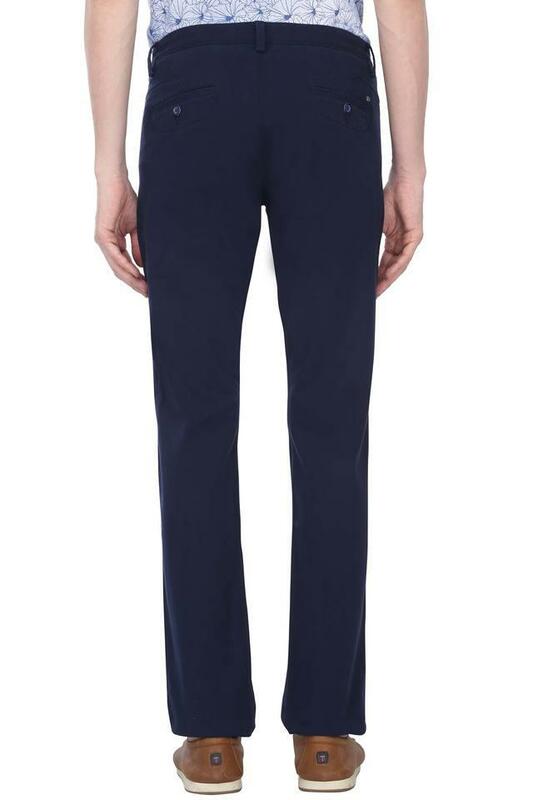 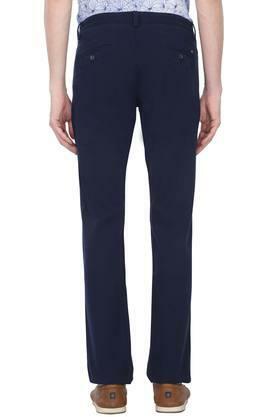 Infuse a contemporary touch in your ensemble with this trousers. 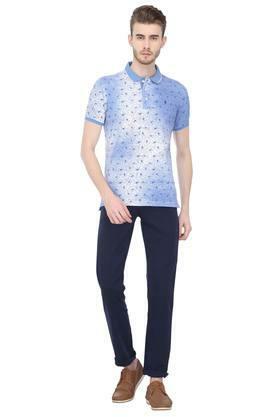 Team it with a shirt and your favourite boat shoes.